If you are going to be a tradesman in the State of Michigan, you are going to get to know LARA. Her mission in life is to “support business growth and job creation while safeguarding Michigan’s citizens through a simple, fair, efficient and transparent regulatory structure.” She is the Department of Licensing and Regulatory Affairs. She is responsible for making sure you know what you are doing. If you are a person who contracts with a property owner to do residential construction or remodeling on a project whose total value is $600 or more, including material and labor, LARA says you are required to be licensed as either a Residential Builder or a Maintenance & Alteration Contractor. 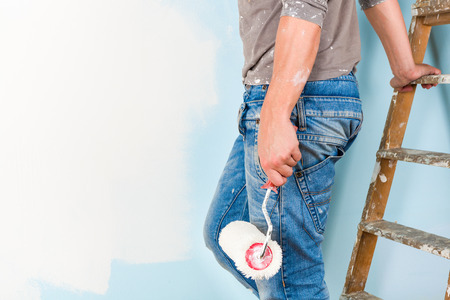 LARA defines painting and decorating as a regulated trade under the Maintenance & Alteration (M&A) contractor license. Plus other approved topics like Lead laws which add 20% or more to a painting contract to cover the costs of EPA abatement requirements. You must be able to read and speak English. You then must take and pass the PSI State Exam. It is not an open book exam. It is administered by PSI Services, LLC (PSI) and you must study to pass it. The cost of the examination varies based upon the number of sections to be taken, but expect to pay around $100. Once you obtain your license, you must renew it every 3 years. The state of Michigan requires 21-hours of continuing education for the first two renewal cycles (6 years) and 3-hours of continuing education each cycle thereafter. It sounds like LARA wants the good people of Michigan to have confidence that when they hire a painter, they’re getting a qualified professional with a $600 license. Many opponents to licensing requirements believe LARA has too many fingers in too many areas of the marketplace. Some say LARA may actually be hindering people from making a living painting houses. Many believe that the potential for harm – wrong wall color – does not rise to the level of requiring such challenging entry barriers. They think the free market will weed out the bad painters. Ray Franz, the former Republican Representative from Manistee, had submitted House Bill 5326 to the Michigan legislature for their consideration before he left office in 2017. It would exempt individuals and contractors, including painters, from a variety of LARA’s trades licensing mandates. The bill is currently sitting in committees for the State House and Senate. We would love to hear what you think about the licensing of professional painters. Please leave a comment on this blog.